The Staten Island Peace Conference was a brief meeting held in the hope of bringing an end to the American Revolutionary War. 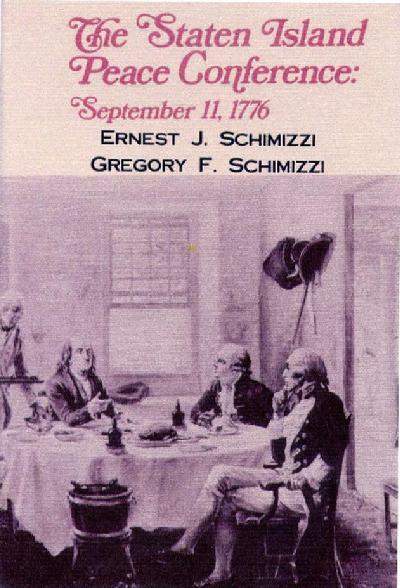 The conference took place on September 11, 1776, at Billop Manor, the residence of Colonel Christopher Billop, on Staten Island, New York. The participants were the British Admiral Lord Richard Howe, and members of the Second Continental Congress John Adams, Benjamin Franklin, and Edward Rutledge. Since Lord Howe's authority was, by design, extremely limited, the Congressional delegation was pessimistic about the meeting's outcome. The conference, held in the days after the British capture of Long Island, lasted just three hours and was a failure. The Americans insisted on recognition of their recently declared independence, and Howe's limited authority was inadequate to deal with that development. After the conference, the British continued their military campaign for control of New York City.